Dubai is one of the world’s most exciting and developed business hubs, with a hugely diversified and dynamic Economy. This cosmopolitan city has seen huge growth across many sectors and the government have continued to invest in strategic infrastructure and transportation projects to support the development. Dubai Statistics Centre (DSC) has revealed that Dubai’s real gross domestic product (GDP) reached Dh389 billion in 2017 compared to Dh379 billion in 2016, an increase of 2.8%. It is also expected that there will be further uplift in 2018. It is also predicted that the economy is expected to grow 3% in 2019, according to World Economic Outlook (WEO) of the IMF. The UAE has the advantage of its location and therefore connections between the East and the West, making Dubai easily accessible to Europe, Asia and Africa for both travel and trade. Construction activity in Dubai will remain robust with developments related to the Expo being one of the main driving factors behind the sector’s growth. In addition, there are plans in place to support other non-oil sector with increases seen recently in travel and tourism as well as wholesale and retail sectors. Dubai’s non-oil private sector grew faster in the first half of the year as compared to the same period last year, according to reports by Emirates NBD, 2017. This prosperity as well as future planning, puts Dubai on the map as an attractive market for foreign investors to set up companies and conduct business. The most common industries that offer opportunity for those looking to trade in the UAE include; Interior Design, Energy & Power, Engineering & Construction, E-Commerce, IT Consultancy, Hotel & Restaurant, Real Estate and Healthcare. Growth can be predicted across Dubai due to the booming commercial sector and a rising number of retail and residential projects across the country. A report from INDEX, the Middle East & North Africa’s largest gathering for the design community, outlines that the GCC Interiors & Fit-Out market is currently valued at US$9.04bn and represents a growth of 4.42%. 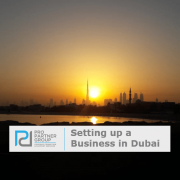 – How to set up an Interiors Company in the UAE – Dubai & Abu Dhabi? Due to a rise in population, an expanding economy and climatic considerations, demand for electricity and water continues to grow at a fast pace in the UAE, at around 9% annually. Between 2008 and 2012, electricity capacity grew by 37 per cent, with Dubai increasing capacity by 44.5%. A report from Middle East Electricity (MEE), the region’s leading annual international trade event for the power industry, states the GCC, requires a combined US $131 billion worth of investment in electricity generation, transmission and distribution over the next five years to cope with the increasing demand. This will provide significant investment opportunities, contribute to the growth of the green economy, and create a competitive advantage in the UAE for clean energy and energy efficiency. The rapid rise in internet penetration around the world is the prime driver of the e-commerce industry’s phenomenal rise. Last year was a significant year for developments in e-commerce in Dubai with growth triggered by demographics, high levels of disposable income as well as the already noted high internet and mobile penetration rates. With this evolution, came an influx of investors keen to tap into the burgeoning MENA market. According to analysts Frost and Sullivan, the e-commerce industry in the UAE is expected to hit $10bn by 2018 compared to the 2014 figures of $2.5bn, equating to a 400% growth by the end of this year. IT is fast becoming one of the most significant growth sectors in the Middle East. Spearheaded by the governments’ focus on innovation, the Dubai tech market is expected to reach AED22 billion by 2019, according to the Dubai Chamber of Commerce. This thriving economy has led to significant attention from investors and world leaders within the digital industry; no better example of Amazon’s recent acquisition of Souq.com (a UAE-grown online retail platform), in a deal which is estimated to be worth around $650 million. Combine this with an increase in tech-related business hubs, incubators, and accelerators, and there is a huge opportunity for IT businesses in the UAE. The real estate sector in the UAE has long attracted developers, construction companies, investors and brokers (or agents) looking to invest in the region. Recent reports state that the market is more transparent, compared to 2016, which helps buyers and sellers to make more informed decisions, therefore, giving confidence to investors. In 2018, there will be more affordable housing options and this trend will continue to grow with the rise of expatriates moving to the UAE. Further, with predicted economic growth, the market should offer lucrative opportunities. Healthcare is one of the fastest-growing sectors in the world and is a key contributor to the UAE economy. With ever-increasing population levels, life expectancy, and a diverse economy still comfortably outperforming more mature markets, the UAE healthcare market is sure to benefit from continued growth for the foreseeable future. Indeed, in 2016, Alpen Capital predicted growth of 12.7% per annum in the years leading to 2020 – growth significantly higher than the predicted market average. The healthcare industry in Dubai has continued to evolve and offers a range of new specialised services and treatments with a surge in new technology in this sector. To set up in the UAE, there are several key stages involved in developing a successful entry strategy to include; in-depth market research, developing a business plan, determining the right commercial structure, understanding the laws & regulations and finally considering implications of VAT. There are numerous legal company formation options in the UAE with the most common being a limited liability company (LLC). Below are the key legal commercial entities within the Emirate that companies can use to compare their options for setting up in Dubai. * Certain activities such as Recruitment Services or Real Estate Related Businesses are an exception to this rule, as they can only be completed by 100% locally owned entities. A branch office in Dubai, is an extension of a foreign parent company registered outside of the UAE, it is a full-fledged business, permitted to perform contracts or conduct other activities as specified in its license. A Foreign Branch office may only be engaged in activities like those of its parent company. Under Commercial Companies Act No 8 of 1984 and Ministerial Decision Number 69 of 1989, a Branch office of a foreign company does not have a separate entity. It clearly represents the parent company and carries on business under its name. The purpose of the branch office is to promote and market the products of the parent company, enters into transactions and concludes agreements in the name of the parent company, and offer services to its customers. This type of representation is useful in promoting a foreign company and introducing products to UAE companies as a non-trading ‘shop-window’. A Trade Representative Office cannot export, import or sell in the UAE. A Trade Representative Office may practice only promotional business for the products and services provided by the parent company. An attractive option for many foreign companies wishing to trade ‘onshore’ in the UAE is through the appointment of a local distributor or agent as it requires minimal investment. Such arrangements are known as commercial agency or distribution arrangements. It is advisable that a commercial agency obtains a partner to facilitate sales and distribution of products within the UAE. All products must be registered in country to be sold. Generally, the company will sell the products remotely or place a sales representative on the ground in Dubai. It is important to bear in mind that in certain industries and market sectors, to obtain a license for certain types of activities, the commercial agent must be registered with the Ministry of Economy. Professional business is defined as “work based on investing mental talents and acquired information”. A Professional Licence/Civil Licence/Civil Company is a business for professionals in recognised fields such as doctors, lawyers, engineers and accountants. A Civil Company can only practice professional business and is 100% owned by professional partners. An activity, involving the use of the individual’s physical or intellectual powers and effort and/or using tools/instruments with a limited capital. Apart from one of the core advantages of establishing a free zone –100% foreign ownership, a lot of investors opt for a free zone formation when considering the timeline procedures, costs, availability of the desired activity and required facilities for their companies. Free zones are well known for fast and easy registration and licensing process and provide cost-effective tailored solutions for all clients’ requirements. The most common method to obtain a UAE residence visa in the free zone is to get an employment contract through one of the free zone companies – wherein the employee and employer shall enter into an agreement – which could either be unlimited or limited – based on the employer’s discretion. The UAE Residence Visa issued from a Free Zone are normally valid for 3 years (onshore visas are normally valid for 2 years). DIFC (www.difc.ae) is a global financial centre established in 2002, strategically located between the East and West, providing a stable and secure platform for businesses and financial institutions to tap into the emerging markets of the Middle East, Africa and South Asia. JAFZA (www.jafza.ae) is the largest and oldest free zone in the UAE, established in 1985. JAFZA is an engine for Dubai’s economic and industrial growth. It’s product offerings ensure that clients will find the right set-up for their needs including plots of land, warehouses, showrooms, customised development solutions, offices, retail outlets, a business park and even on-site residences. DMCC (www.dmcc.ae) is a government entity established in 2002 to enhance commodity trade flows through Dubai. DMCC is the dedicated global centre for more than 14,100 businesses from a wide range of industries and sectors. DAFZA (www.dafz.ae) is a well-established zone that deals with import and export trades and services, established in 1996. It offers companies a base within a modern and comprehensive environment to do business from. DWC (www.dwcftz.com) is an emerging 145 sq km city situated within the emirate of Dubai, launched in 2006. The free zone’s economic platform supports every conceivable kind of business and industry. The free zone offers a wide variety of office solutions, ranging from shared facilities to executive offices that are perfectly aligned to the growing needs of start-ups and SMEs. ADGM (www.adgm.com) is an international financial centre located in Al Maryah Island in the heart of the UAE’s capital city, Abu Dhabi. It’s legal and operational platform is attractive for a broad range of professional and business services, along with family businesses, corporate headquarters and various management functions. ADGM also provides a beneficial environment to domicile holding companies, special purpose vehicles (SPVs) and other structures to hold and protect assets. KIZAD (www.kizad.com) is among the largest greenfield ports and industrial zones in the world, located near Khalifa Port in Abu Dhabi and has started its operation 2012. KIZAD offers proximity to suppliers, customers and other business competences, safeguarding that industrial, trade and logistics derive long-term advantage. Masdar City (www.masdarcityfreezone.com) was established in 2006 and is located near Abu Dhabi International airport, is an emerging global clean-technology hub, placing companies at the heart of the global renewable energy and clean tech industry. Setting up a business within this free zone offers entrepreneurs a wealth of benefits to include 100% foreign ownership as well as exemption from corporate taxes. 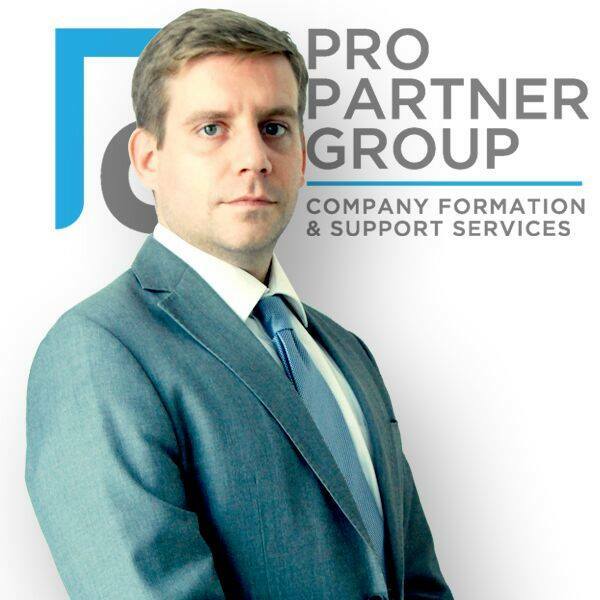 As a leading company formation specialist in Dubai, PRO Partner Group act as a corporate partner for foreign investors wishing to establish a business in the UAE and assume the role of the 51% Emirati shareholder. Through PRO Partner Group’s secure and trusted nominee structure, this model ensures that foreign investors’ interests are protected in accordance with the law. In the case of a Foreign Branch, PRO Partner Group can be employed as a local service agent to quickly and efficiently handle all governmental administration requirements, whilst still enabling the foreign investor to retain 100% financial and management control. In common with much of the GCC, commercial law in the UAE states that a foreign investor cannot establish a mainland business entity without first appointing a local sponsor. The role of this local sponsor varies depending on the structure of the business, and as an inevitable challenge for foreign investors, it is vital to understand the functions of a local sponsor and the impact this has on establishing a business in mainland UAE. Companies who wish to operate in mainland UAE are required to have a local sponsor. The type of sponsorship available depends on the type of business to be conducted by the company and therefore the legal business structure selected. There are three sponsorship options for a foreign investor wishing to set up a business in Dubai; individual sponsorship, corporate sponsorship, and local service agents. Individual sponsorship is when an individual Emirati national sponsors the business, and by doing so, holds a 51% share of the company or acts as a National Service Agent if the business activity permits. Corporate Sponsorship permits the local partner to be a 100% UAE-owned company. This allows for a far more robust governance structure to safeguard foreign investment. Local Service Agent is a type of sponsorship whereby the agents are appointed to act as a representative for businesses with 100% foreign ownership.